The motorway concession model, whereby the French State contracts public or private-sector partners to manage the network, originated in legislation passed on 18 April 1955. This partnership is based on multi-year planning contracts that set out the respective commitments of the State and the concession operators. The concession operators have been private companies since the State sold its shares in 2006. APRR upholds the terms of the agreements defined by the French State. 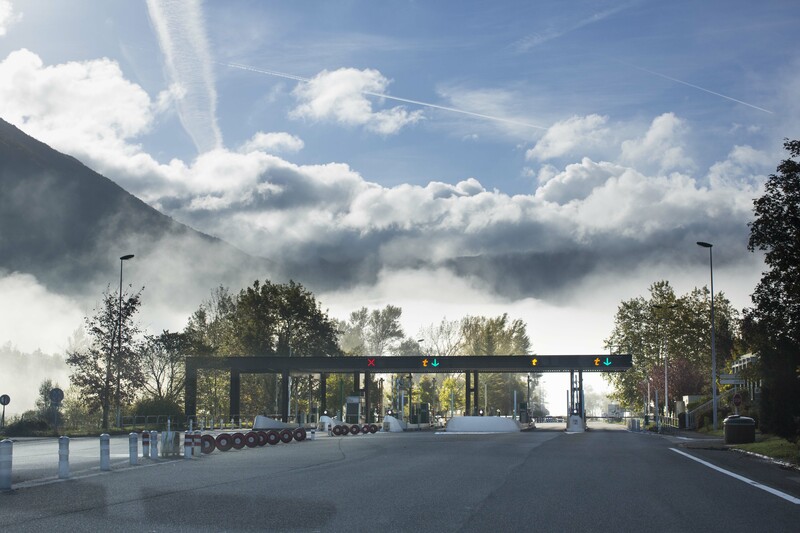 In return, APRR receives revenue by collecting the corresponding toll payments. These payments enable the company to fund work to maintain and modernise the network, as well as reimbursing the €17 billion debt transferred when the motorways were privatised in 2006. When the concession agreements expire (in 2035 for APRR and 2036 for AREA), the concession operators will return the motorway networks thus developed, improved and debt-free to the State, receiving nothing further in exchange. Through this concession model, France has implemented a high quality nationwide network at a substantial saving for the State, as the network is funded by users rather than taxpayers. Privatising the French motorways transferred €40 billion in public commitments (debt and investment programmes) to private motorway companies. Since then, these companies pay the State €4 billion in taxes from their activities each year, and are committed to repaying the €17 billion in debt transferred at the time of privatisation. The obligations of the motorway operators are set out in the concession agreements. The State also requests new investment supplementing the original concession agreements, through multi-year planning contracts. Under this framework, APRR invested €2,400 million over the period from 2006 to 2011, and has committed to spend €500 million on the network between 2014 and 2018, plus a further €719 million by 2021 under the terms of the motorway regeneration plan agreed in 2015. APRR performs its missions under constant supervision from the public authorities, which uphold compliance with performance and quality indicators relating to the company's services and infrastructures. In France, the motorway network is funded by tolls, not taxation. Over the life of the concession, toll revenues repay the loans contracted in order to build infrastructures, finance maintenance works and enable new investment in the network. It is the network’s users, of all nationalities, who fund the network rather than taxpayers as a whole. Thanks to this “user pays” principle, much of the network’s external costs (relating to environmental protection, noise abatement and safety improvements, for example), are funded by its own users. The government determines toll increase guidelines that reflect the capital expenditure and additional works requested of the concession operators. It reviews and approves the prices applied for each journey on an annual basis. APRR invests to maintain, modernise and enhance safety along the network. APRR curates the assets entrusted to it, while making driving safer and building motorway areas that provide innovative services. On 9 April 2015, the concession operators and the French government agreed a motorway regeneration plan involving a total investment of €3.2 billion. The aim of this plan is to modernise the motorway networks while supporting employment in the public works and service sectors. The concession contracts agreed by the French government and APRR in 2001 are supplemented by two five-year management contracts, one concerning APRR, the other AREA. These contracts stipulate the investment in the network required from the Group in exchange for new toll pricing formulas that were introduced in 2014 and will remain in force until 2018.